In this video tutorial we will discuss in detail about the different parts of computer that enable it to carry out its tasks efficiently and correctly. We will also discuss about microprocessors, the brain of computers, which actually do all the assigned tasks. This video tutorial has been mapped to the Class XI CBSE syllabus for Computer Science. However, anyone who wants to understand the basic concepts of what a computer is and how it functions will benefit from it. Shweta is a postgraduate in Computer Management from University of Pune. 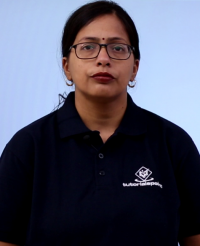 She has worked as Instructional Designer and Content Creator for companies like NIIT and Whizlabs, creating Computer Science courses from KG to PG. She also taught Computer Science at DPS, Bokaro, for 4 years. She is an avid blogger, author, editor and course content creator.